Up before dawn to go grab donut holes, blow up balloons, hang streamers in the room and outside on our ramp. It looked festive and I was pretty proud of myself. :) The look on their faces made it worth it. Amazing what a little decorations can do to make the day special, I even made myself a shirt to celebrate the day. 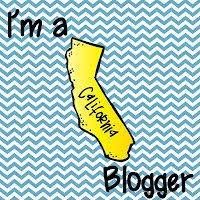 We played a few games in between our normal Friday tests, sang Happy Birthday to California, had the treats, did a California coloring sheet, turned on the disco ball, and they even had a party favor - their first homework pass of the year. It was the perfect end to a pretty perfect week. I hope you had a great week too! This school year started out on such a happy note, Oriental Trading company contacted me asking me if I wanted some goodies for my classroom (and in the process I would share about it here on the blog). I said sure! There is a new Teacher Wishlist on their website this year. Here is mine if you want to take a peek. 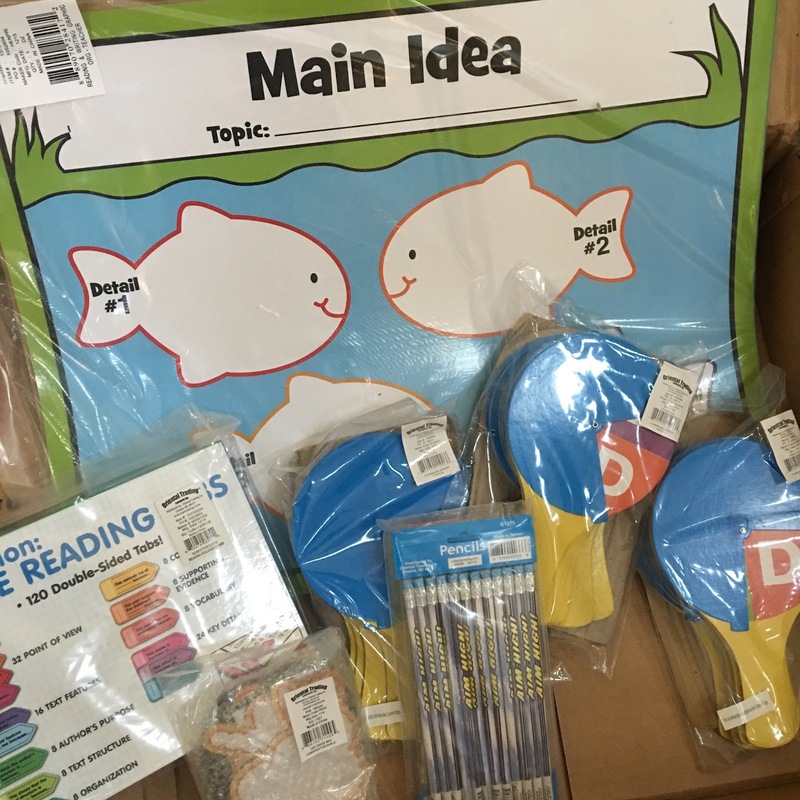 I've known about Oriental Trading for years, they've always been the place to go for party supplies and when I needed some awards created for my class, but I didn't realize about all the other teacher supplies they now have in stock. Those big reading strategy posters are absolutely awesome. They are laminated and perfect to use during reading time. I have passed out post it notes and students have written their thoughts before sticking them on our posters. They also sent me a pack of their famous pencils. 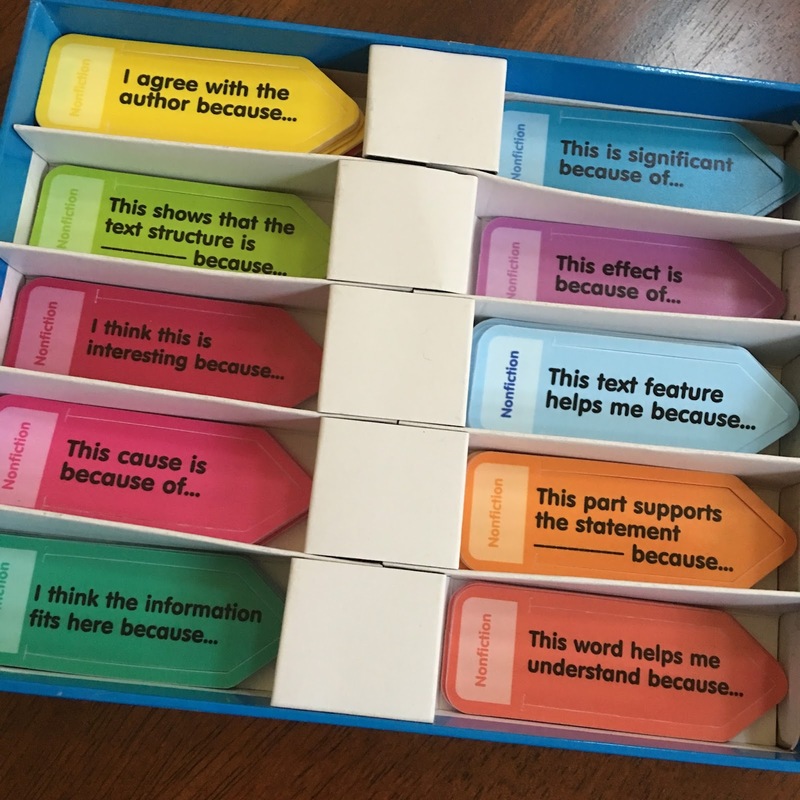 I use pencils as a way to reward students, and they love having something a little more fancy than the normal yellow variety. 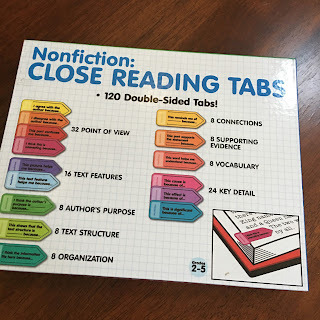 I have really bumped up my nonfiction reading in my class over the last few years as the standards switched with Common Core, and I was quick to add these Nonfiction Close Reading Tabs to my wishlist. These have been great to use in small groups - I give the ones that are our focus for the week and they are able to pinpoint specific examples from the text. Pretty cool! Oh, these student answer paddles are so so cool! 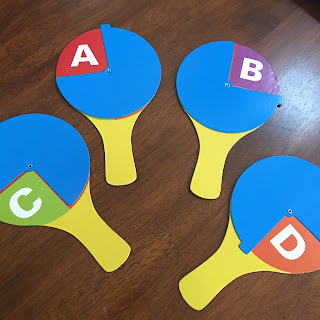 They are made from cardboard, but they are perfect to use for a little quick answer session. So much engagement. I also asked for this set of laminated magnets. I've used them to write our workshop options on - all those must dos and may dos. The kids get a kick when I pull them out. Thanks so much Oriental Trading for the goodies! My students thank you too! 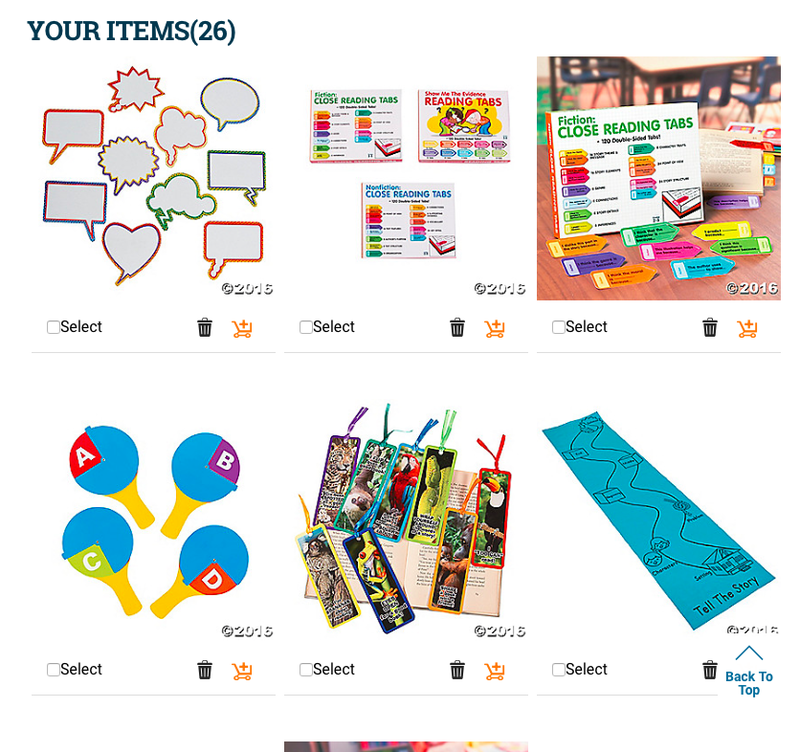 Are you going to set up your own Teacher Wishlist? It's so worth it! Set one up, and then share your link with your classroom parents. :) Tis the season!